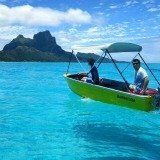 Why Bora Bora Beats the Caribbean! 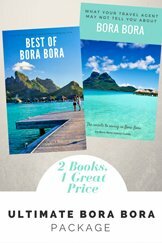 Here's why Bora Bora is voted best tropical island, and best island in the world, year after year, even though there may be cheaper vacation spots, like the Caribbean, closer to home. The blue lagoon's clear, warm water lures us back. It's purity passes regular, stringent European testing. 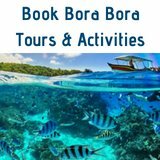 That's why Bora Bora has excursions to beautiful coral gardens teeming with colorful fish. If you choose the right resort, you can even snorkel straight from your over water bungalow. 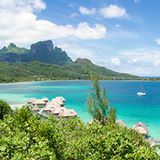 Whether we fly into Bora Bora with Air Tahiti, or arrive by cruise ship, at first glimpse of the lagoon's iridescent hues, we are moved to tears. We've seen nothing in the Caribbean to rival this astonishing beauty. The water temperature is cold! And where are the fish? On each excursion we were taken to dead coral gardens without tropical fish. (but I did swim with sea turtles.) We were told that opportunistic locals attempted to drive the fish out of coral reefs with poison, to catch them, and inadvertently killed the colorful sea life. 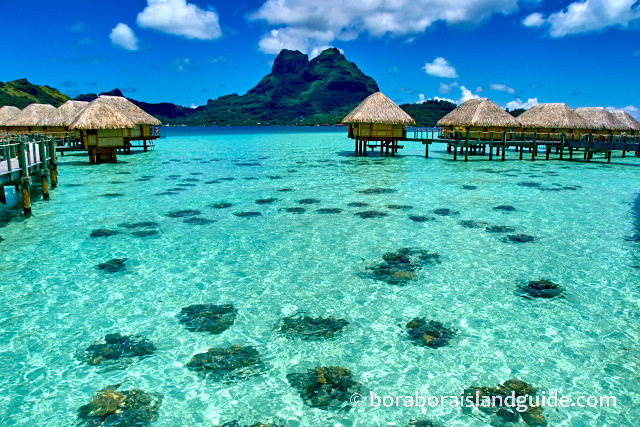 Life is a beach around Bora Bora Island. 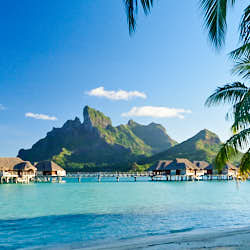 Each of the gorgeous Bora Bora resorts is set on a perfect picture postcard, stretch of private white sand. No rows of deck chairs here. Or having to pay to relax on one. Even when a resort is booked out, there are always inviting sun lounges a­waiting us. There's no harassment on the beaches here! 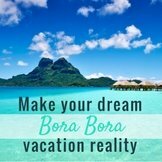 Bora Bora offers dignified vacations. Even on lively Matira Beach (named world's best beach by CBN), which attracts a convivial mix of locals and visitors, there's absolutely no hustling. Where­as in the Caribbean we were constantly interrupted by guys popping up when we least expected, hawking their wares, determined to make a sale. Even while out on a boat, another craft would pull up alongside and try to hard sell. 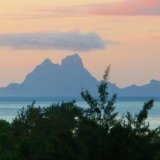 We've only had friendliness and respect from the gentle, Polynesians, who live at a simple level. 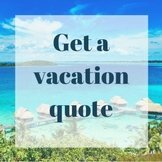 Your precious vacation time will not be interrupted by hustlers asking for money or insisting you buy. 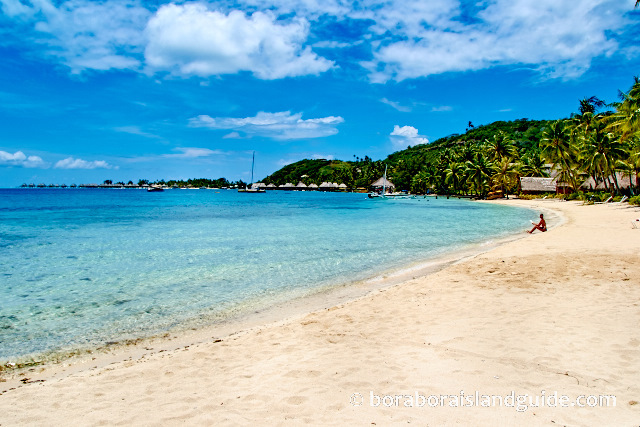 One of their favourite sayings,“Haere maru”, “Take it easy”, conveys the island spirit. 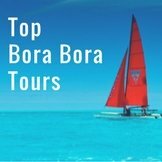 Bora Bora resorts offer a taste of traditional culture. 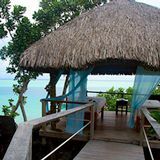 Hotels are Polynesian style huts with coral, shells, bamboo and traditional tapas artworks used aesthetically in the decor. 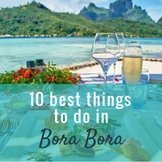 It's why Bora Bora is such a romantic destination. Most resorts offer a Polynesian night for visitors to feast on island food and be entertained by Polynesian dancing. There's opportunities to learn traditional handicrafts. Or hike the wild inner island to visit ancient sites. 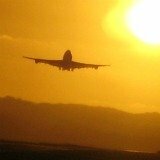 In contrast, the Caribbean culture has been lost to large shopping malls and crowded cruise ports. With barbed wire fences protecting the affluent. 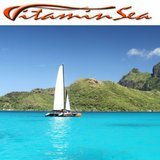 You can sail around the islands of Tahiti and see only one other cruise ship. But in the Caribbean our boat pulled into port alongside 5 or 6 others. The sense of having arrived at a far flung, unexplored island, with inhabitants curious to meet the travelers, is missing. 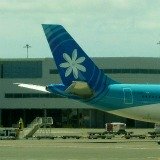 Passing through the Tahiti airport (which everyone must do to catch a flight to Bora Bora) you will be greeted by the strumming of ukuleles and given a fragrant tiara bud. 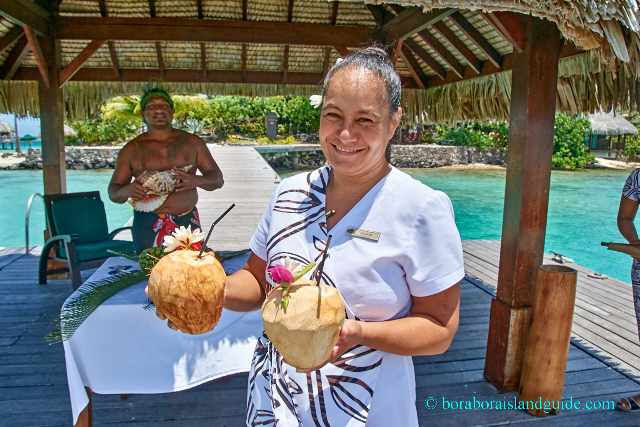 On arrival at the small Bora Bora airport a vahini from each resort welcomes guests with floral leis. 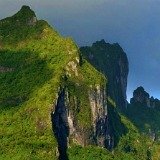 In Tahiti visitors are treated like gold because they don’t have millions! There’s even a special week each year for honoring tourists. 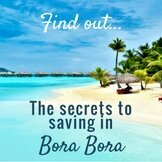 Find out more about why Bora Bora vacations are worth traveling 8 hours across the Pacific for. 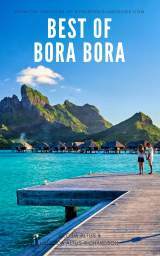 Home › Why Bora Bora?